Pull the anchors and let’s sail away! Introducing one of our newer wedding suites, Christopher. 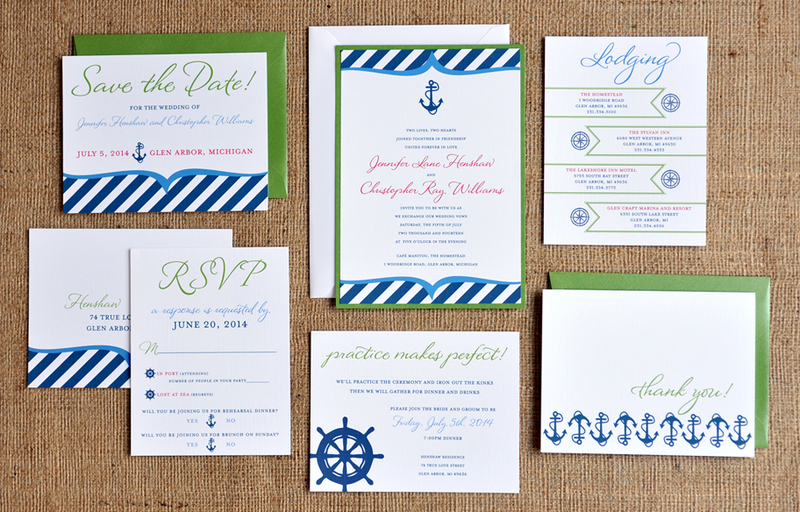 We are embracing the trend and creating a fun, full wedding suite around the nautical wedding theme. 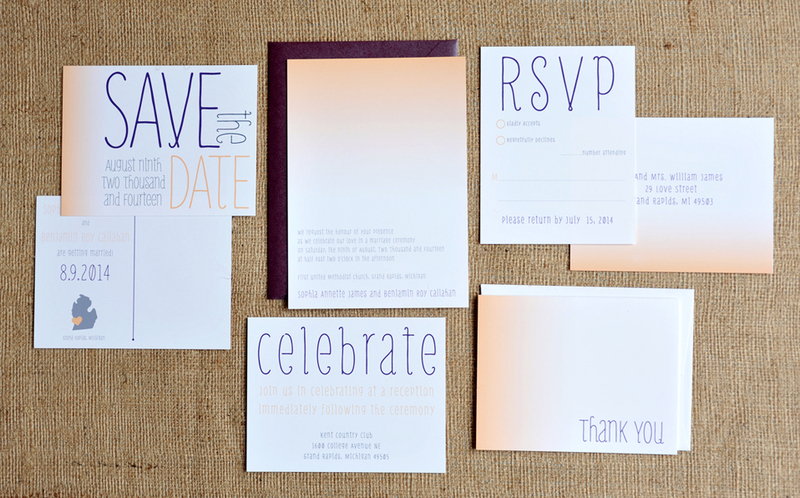 This design started with this 2012 nautical wedding, located on Lake Lansing in Michigan. The Bride and Groom decided to embrace their location, and we created the perfect nautical suite with her colors: green, pink and navy. our Christopher | Nautical Wedding Inspiration Board. I would like to start with my favorite suite, Benjamin! Initial inspiration for the Benjamin suite came from my own simple design style. I have been creating a lot of more graphic and bold designs in the last couple years. I wanted to take the opportunity to create a more subdued wedding suite — something that portrayed my own style, and the ombré trend was a perfect fit. The ombré effect popped up in the hair world recently with a gradual shading of color. This trend of a color “gradient” has expanded to clothing, design, weddings, etc. The word ombré came from a french word meaning shade or shadow. If you’re going with an actual ombré theme, be cautious to not go overboard. I can only imagine how a wedding could become a little ridiculous if everything was ombré! Pick a few details to apply the color effect and keep the overall look simple and elegant. 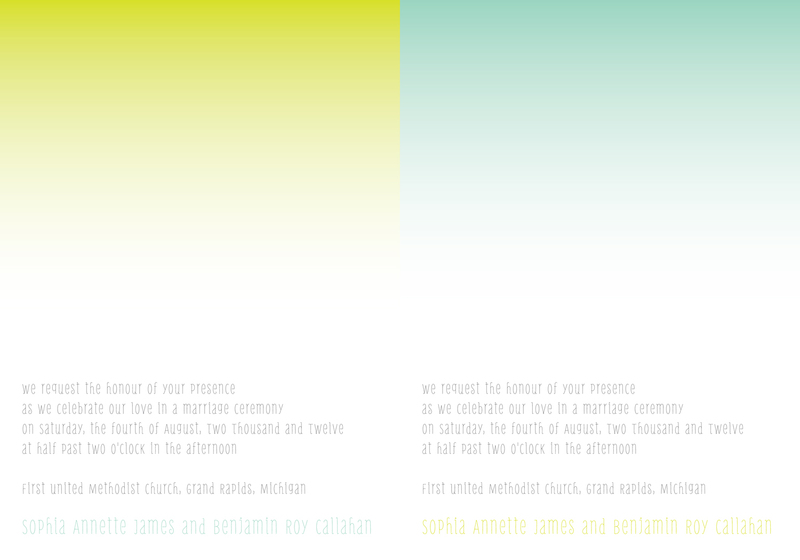 Below are some ideas, check out more on our Benjamin | Ombré Wedding Inspiration Board.